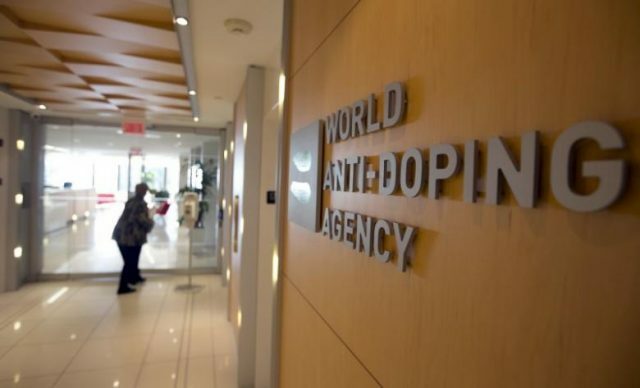 The recently released list of ‘Suspended Athlete Support Personnel’ by the World Anti-Doping Agency (WADA) contains 114 names, including nearly 30 nationalities, followed by either the word ‘life’ or the end date of the disqualification imposed due to anti-doping rule violations. Approximately 31% of the names are prohibited for ‘life.’ Article 2.10 of the revised World Anti-Doping Code (2015) prohibits association by athletes with support personnel having anti-doping violations. The list is a formal source of those included in the restriction and will be updated at least once every three months by WADA. Athletes are prohibited from associating with anyone on the list and could face ineligibility. The comment to the rule defines association broadly as “obtaining training, strategy, technique, nutrition or medical advice, therapy, treatment or prescriptions” with or without compensation. Some features of the list are that a majority of sixty-one individuals (or 53% of the listed names) are Italian, and fifteen of those have a life suspension. A most notable Italian with life suspension is Dr. Michele Ferrari who was a physician of Lance Armstrong. Another example, two Italians involved in the ‘Oil for Drugs’ doping scandal are listed. Four Canadians and three Americans are the on list. The only American with a lifetime ban, Coach Trevor Graham, worked with runner Marion Jones, as well as an American sports agent also listed as suspended as part of the BALCO doping. Additionally, six Russians are listed, including a former director of the Olympic Race Walking Training Center, a physician in basketball, and a weightlifting coach. Other nationalities included with a single or a few prohibited names are Austria, Iran, Iraq, Qatar, Romania, Poland, Jamaica, Ecuador, Spain, Serbia, Turkey, Nigeria, Mexico and Uruguay. No nationalities from the Far East are represented. Neither Australia nor New Zealand are listed. The United Kingdom has one boxing trainer on the list banned for life by UK Anti-Doping last year for trafficking anabolic steroids. (Rowbottom, 2015). The Suspended Athlete Support Personnel list will grow presumably as cases currently under appeal not included on the list are resolved. Privacy concerns are disclaimed by WADA in the introduction to the list as everything published is already in the public record. Nonetheless, WADA expressly disclaims any liability, reliance, or accuracy of the list. It is simply an additional tool for elite athletes and their advisors navigating the anti-doping regulations. Dr. Robert Hudson is the Library Director and Archivist and Assistant Professor at the United States Sports Academy. He can be reached at rhudson@ussa.edu. unit, commodity, instrument or safety worth (the underlying). is that it is not really as small as what pete oilainglry played, and CERTAINLY not nearly as heavy..and it IS a combination of “luxilon” and gut. pete’s was pure gut, generally LESS bouncy and pliant and therefore gave a player far less “time” to “feel” the ball and then control it..and being so heavy really required a very strong hand and wrist to generate power. in the season 2004 , or perhaps it was 2005 , top players were asked by a reporter – “would you be willing to RETURN to the raquet of pete sampras or even wood…IF OTHERS joined you? this was during the short season between the FO and Wimbledon when people were playing the rotterdam, queens, halleand Roger’s answer I recall reading long ago (although i can’t remember now which european news that was) – “NO…because i don’t want to lose my edge”. Roddick answered :”you wouldn’t see me a mile near that”. it reminded me of agassi’s OWN remark in the early 90’s when the SAME question was asked of him and others and pete: “would you be willing to return to WOOD? IF others joined you?” agassi then, answered: “No…it tried pete’s but it’s just TOO difficult”…PEte when asked in the nineties :”if others joined ?…yeah, sure. no problem”. in wimbledon 2004, or 05 — the year when Davenport “retired” (the first time before her comeback) it was also the year that the long-time senior supervisor of matches retired. i don’t recall his name. but in keeping with his year’s retiring after such a long career: he was asked about the tennis. on RACKETS – he said this (i think i read it on a BBC article — after he was interviewed after he supervised his LAST match…a davenport match)…., as nearly as I can recall his words: “ROGER has all the shots…WHEREAS pete sampras grew up with wood. what people don;t udnerstand is only pete’s old raquet was truly closer to the wood..try these shots TODAY with pete’s raquet and you’d break your wrist..i have all these raquets in my collection…the reason pete had a more conventional grip is because of that”. –the thing is — even during their exhibitions – roger was already using , supposedly — the “pete raquet”…and yet some have said that it’s really a “paint job” with specifications made for roger only that CERTAINLY is NOT like pete’s. and never would have even been available during pete’s time. you recall perhaps that a few years back – when roger was selling the “roger raquet” – sold as “wilson 90” a la pete’s old one – the article that examined it ALSO said: “THE TRUE SPECIFICATIONS of Roger’s Raquet itself, is a jealously guarded secret”. my question has always BEEN….having read from people that have bought the old version of pete and that of roger’s claimed “pete’s raquet” that have said there is a difference, particularly in the “give” and in the weight: WOULD roger have HIT the ball as HARD and with PRECISION with a far smaller sweet spot as he DOES — if the raquet TRULY is the exact specification as pete had? one reason , everyone knows, that pete’s raquet strings often broke..was not just because he strung them extremely TIGHT – but also because of how hard he hit..however – when pete HIT with the NEW raquets – still as close to what he had , supposedly – or something like ROGER’s own which won roger many titles pete quipped :”gee it’s almost like cheating..you could really do things we never were able to do as much before”……and he is NOT the only one of players that had played careers using the wood, the hybrids and of course something similar to pete’s own .